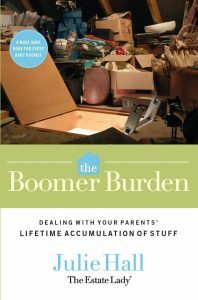 Do-It-Yourself Guidance you can trust and a game plan to follow! 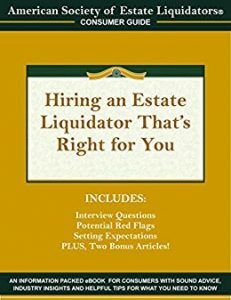 Gain insight (and minimize stress) from one of the nation’s leaders on antiques, collectibles, other residential personal property and estate liquidation to become a knowledgeable, educated consumer. 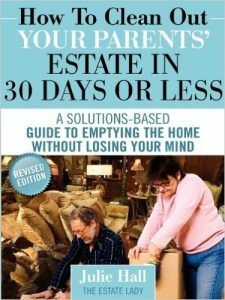 Whether you are planning ahead for an elderly parent, handling an estate, getting ready to downsize, sorting through mom’s home, etc., the answers and many suggestions can be found within the pages of these books. 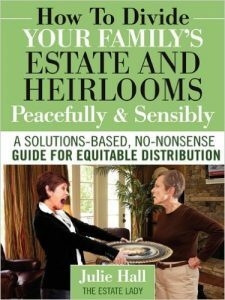 The Estate Lady® is passionate about helping as many people as she can because she understands the complex issues that surround handling estates, dissolving a home, the emotions that come with the process, family feuds, sentimentality, values, etc. 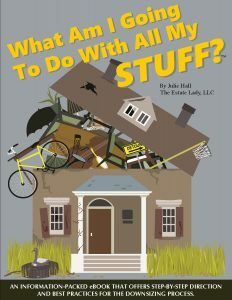 Julie’s books and guides have helped thousands of consumers and her mission is to provide the most comprehensive library of resources in the industry.